1. Boil water in a large pot, lightly salt and boil pasta for 5 minutes to al dente or longer if you enjoy a softer pasta. 2. Cut broccoli into small florets and roughly chop cashews. 3. When pasta is done cooking, quickly blanch broccoli for 1 minute. Strain out the water. 4. 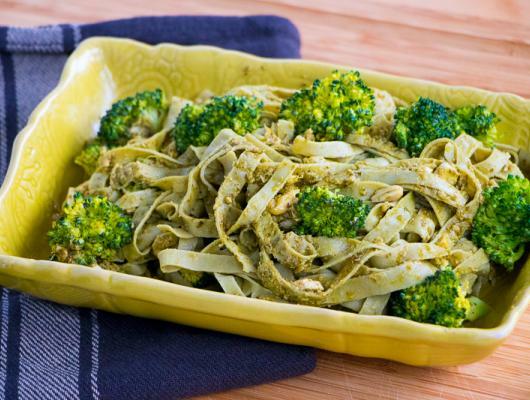 Mix fettuccine, pesto, broccoli and cashews. A healthy party recipe for your healthy eating friends and family. 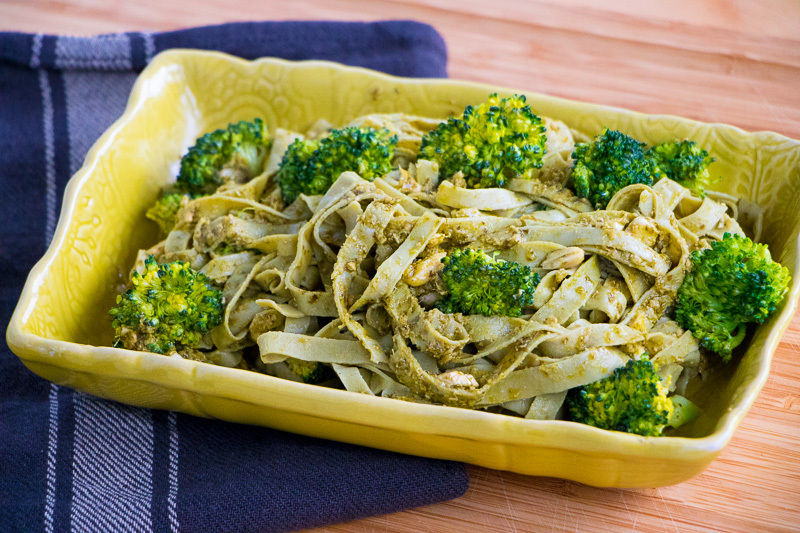 Made with bean pasta fettuccine, pesto, broccoli and raw cashew nuts.